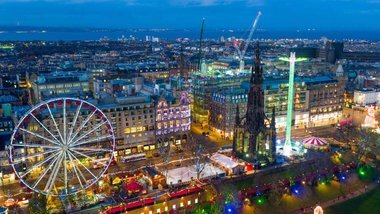 City centre of Edinburgh. 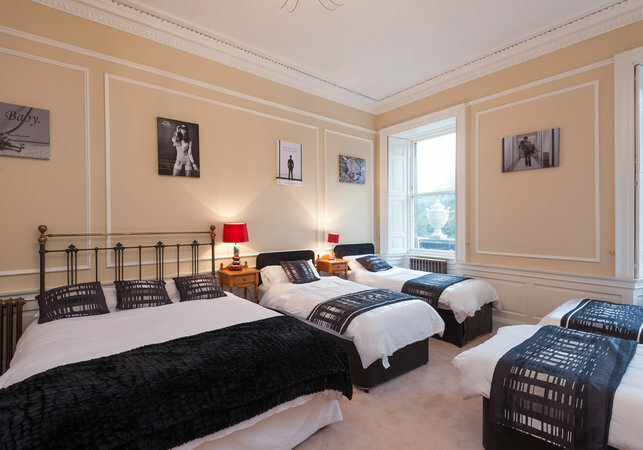 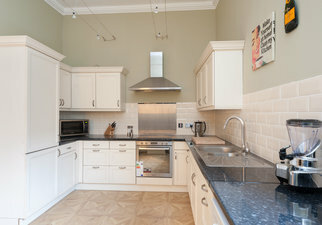 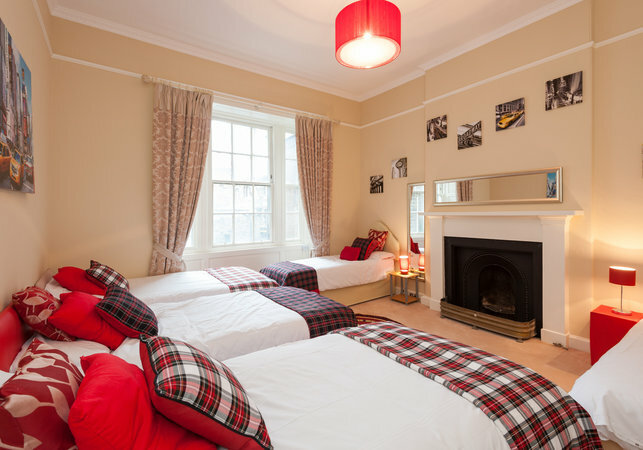 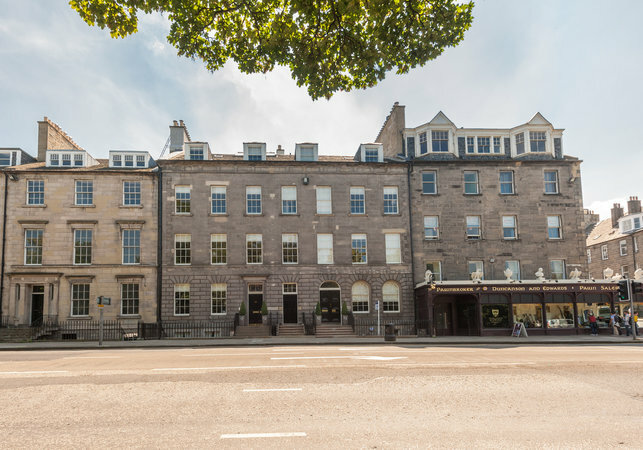 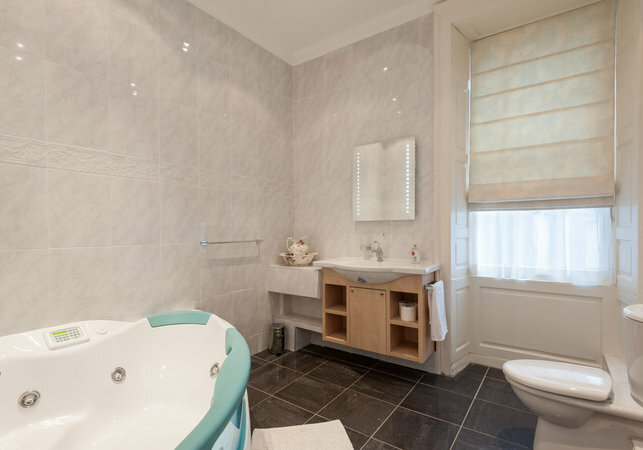 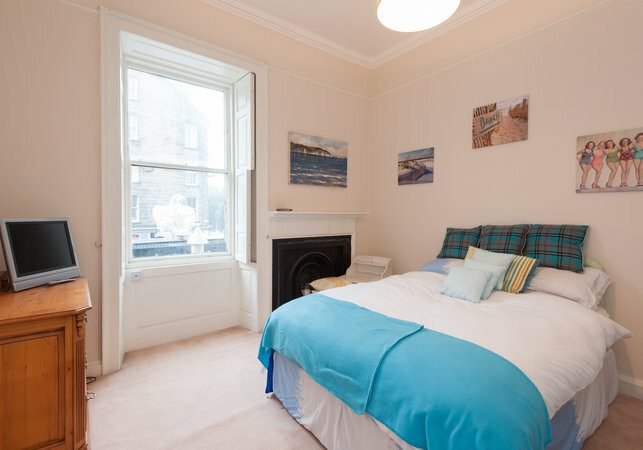 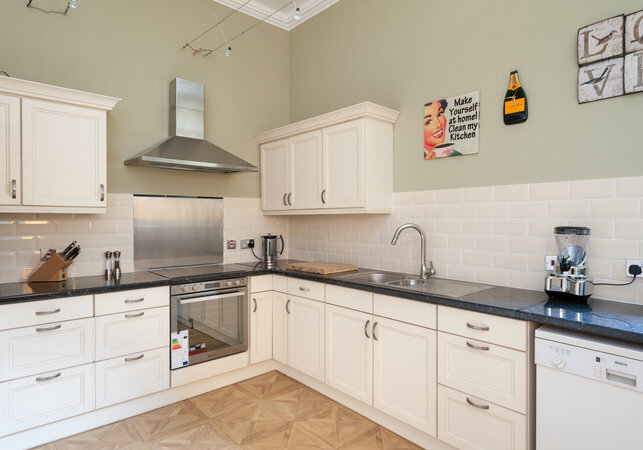 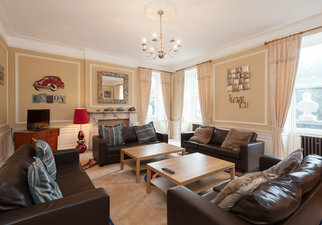 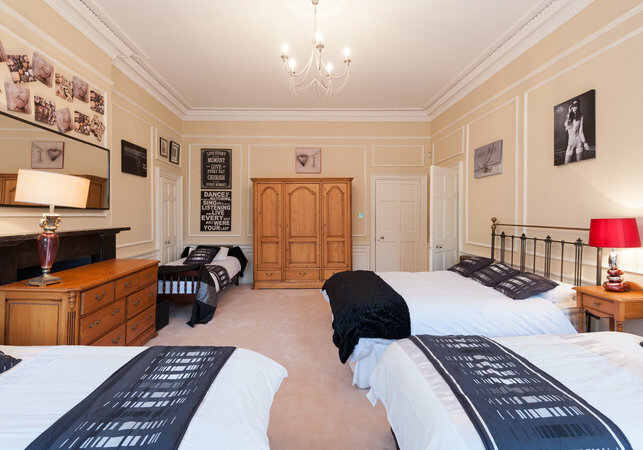 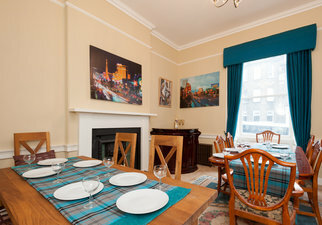 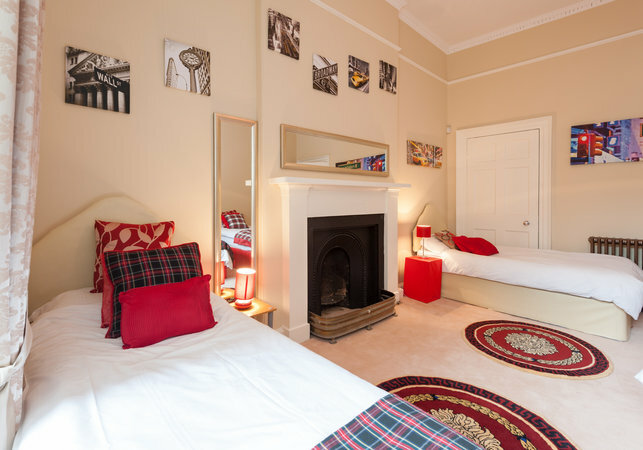 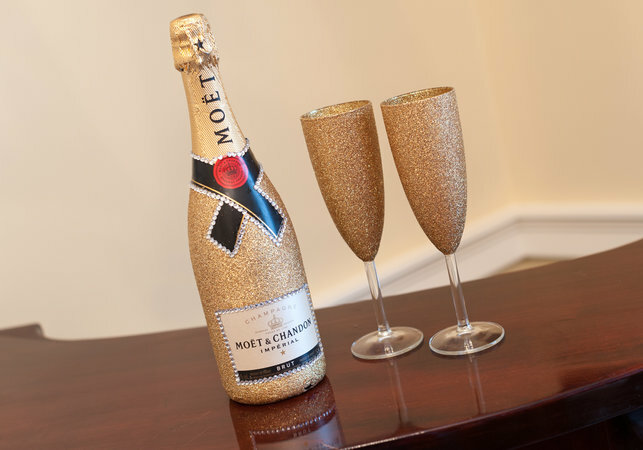 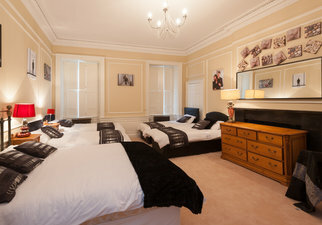 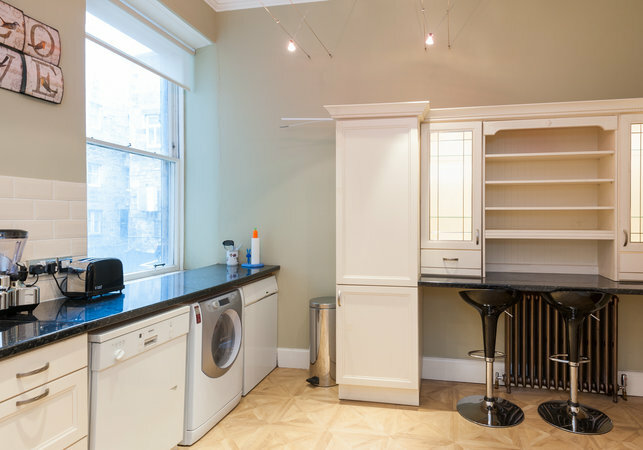 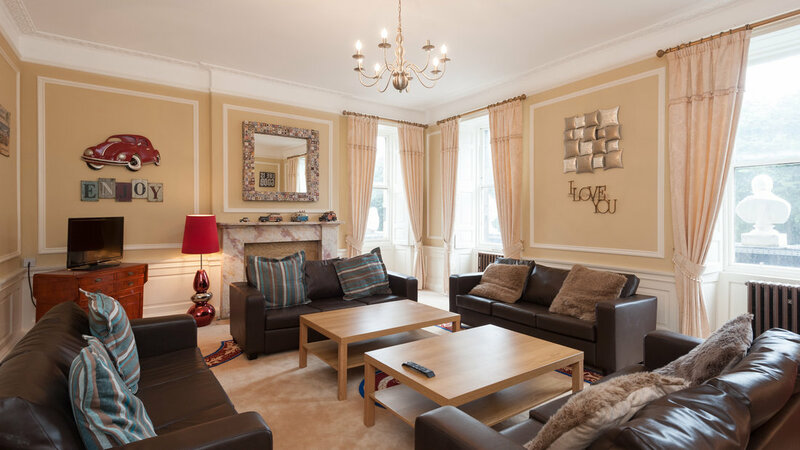 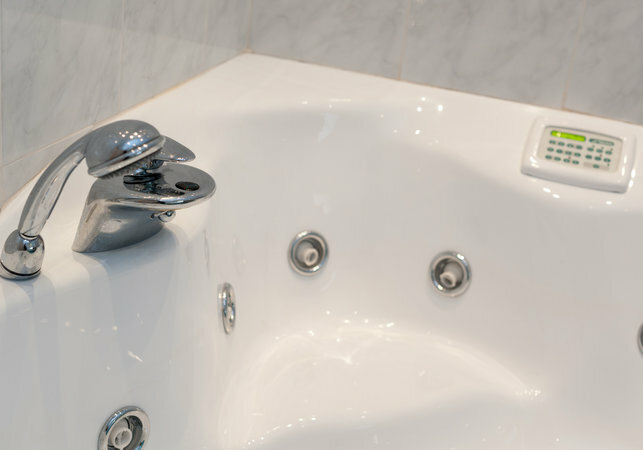 The apartment is fully equipped with everything you should need for a relaxing and fun break and is situated in Frederick Street, just a few minutes walk to Princes Street, George Street with all its nice designer shops, trendy restaurants and nightlife. 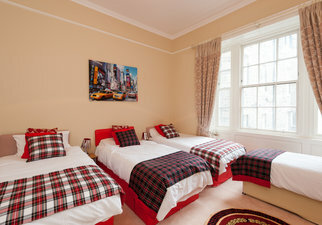 Princes Street is the main High Street shopping area where you can take full view of Edinburgh Castle and the gardens. 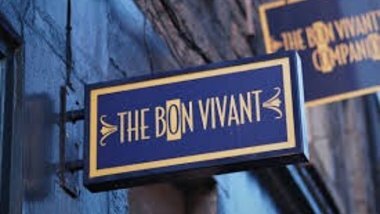 It boasts the biggest variety of shops and cafes off and off this street. 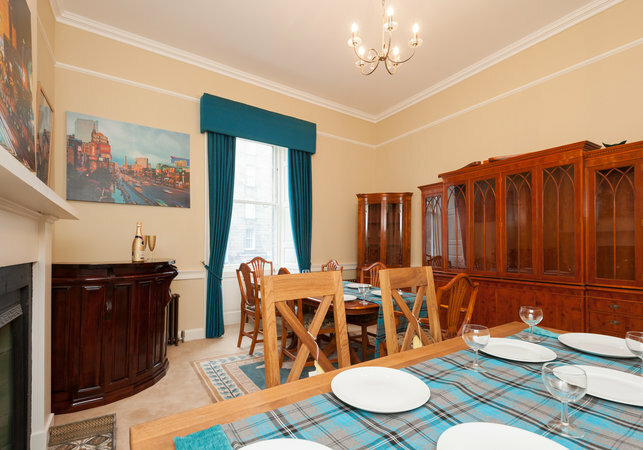 The Royal Mile, Scottish Parliament, Palace of Holyrood House, Dynamic Earth, St Giles Cathedral, Camera Obscura, Scotch Whisky Centre, Famous Ghost Tours, Highland Tours, Edinburgh Bus Tours and National Museum of Scotland are all within your reach. 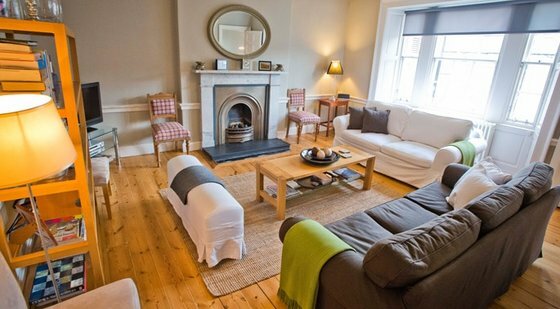 The apartment is suitable for groups of friends or families or business colleagues who want a home from home whilst working in the city. 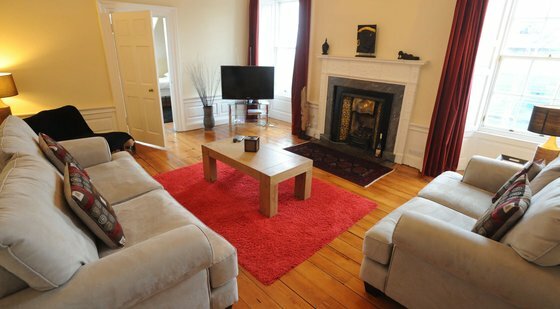 The apartment has a fully equipped modern Lounge with many fine modern and traditional features.. . 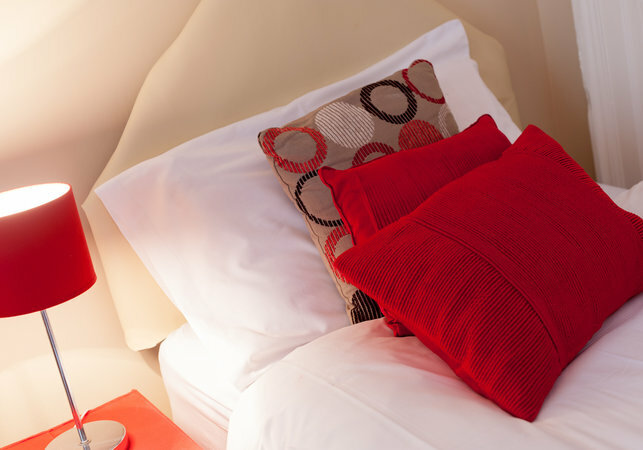 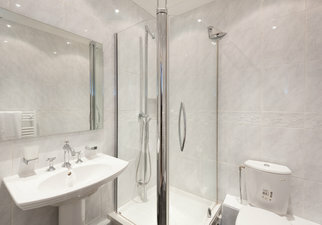 The apartment is immaculately clean, warm and extremely comfortable. Linen and towels are provided. 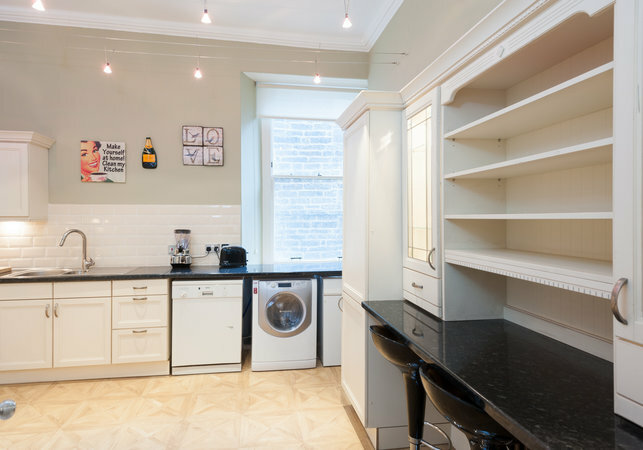 This very large 3 bedroom apartment is accessed via the main door on Frederick Street. 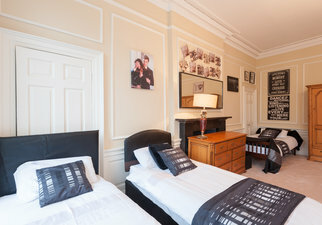 Once inside you will see how spacious and fun this apartment is with its themed rooms such as the 50 shades of Grey room, The New York Room and the Beach Room. 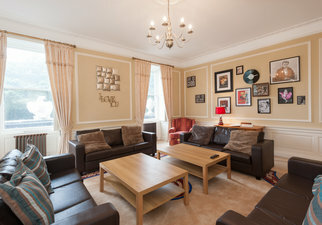 The lounge has been created with enough seating so that all 15 guests can sit round and chat together over a nice glass of bubbly. 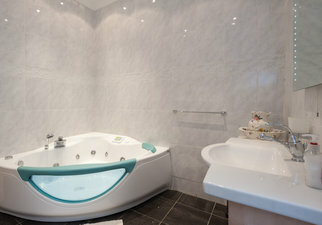 The ambience is a definite talking point. 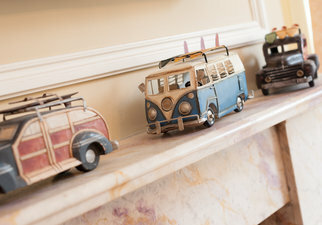 no parking at property. 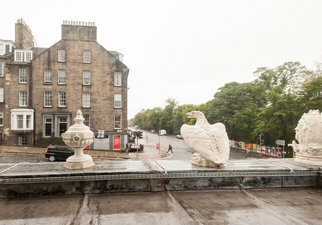 Metered parking close by. Free at weekends and evenings. Please see parking meters for restrictions.